Many people involved in the NSERC CREATE Training Program in Arctic Atmospheric Science perform measurements at the Polar Environment Atmospheric Research Laboratory (PEARL) near Eureka, Nunavut. 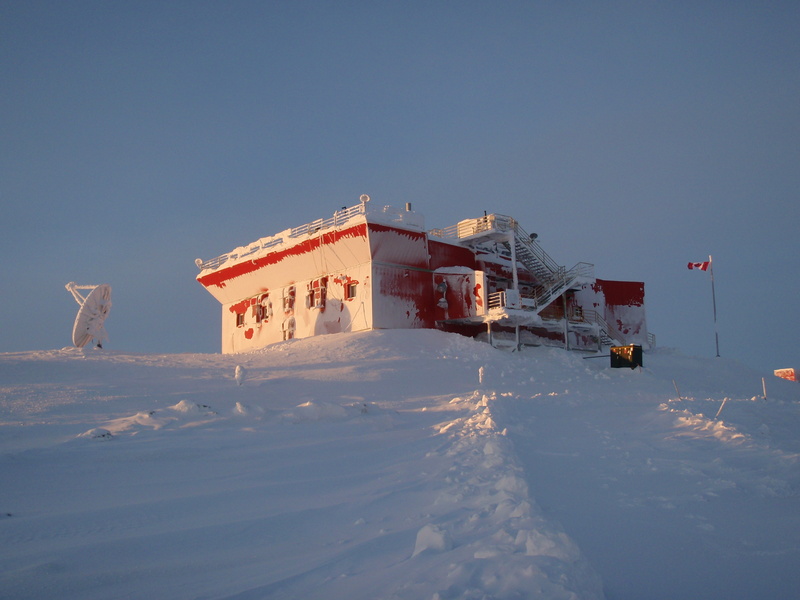 This lab is located at 80 degrees North, and includes 3 facilities: the zero-altitude PEARL auxiliary lab (0PAL), SAFIRE, and the Ridge Lab, which is situated on a ridge overlooking a large fjord. PEARL houses a suite of world-class instruments to observe the atmosphere and investigate scientific questions involving climate change, air quality, atmospheric chemistry and physics. The only permanent outpost further north, anywhere in the world, is Alert, Nunavut.